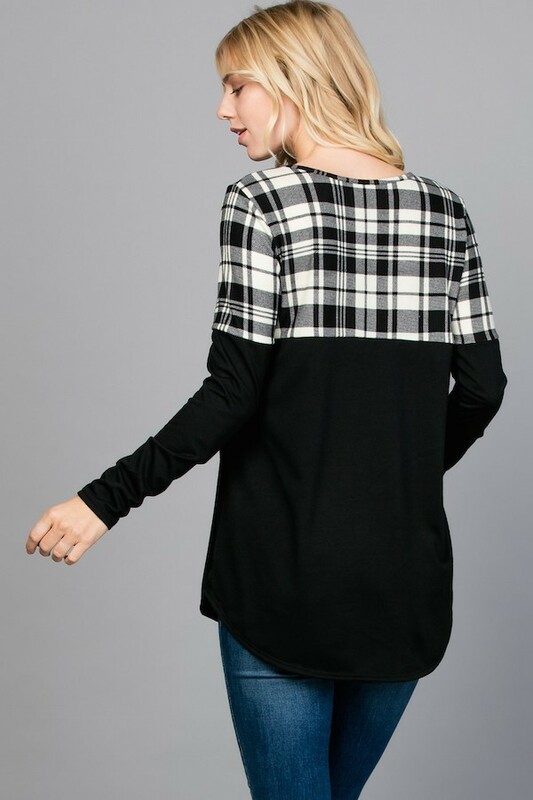 Description: Black white plaid color blocked fashion top. 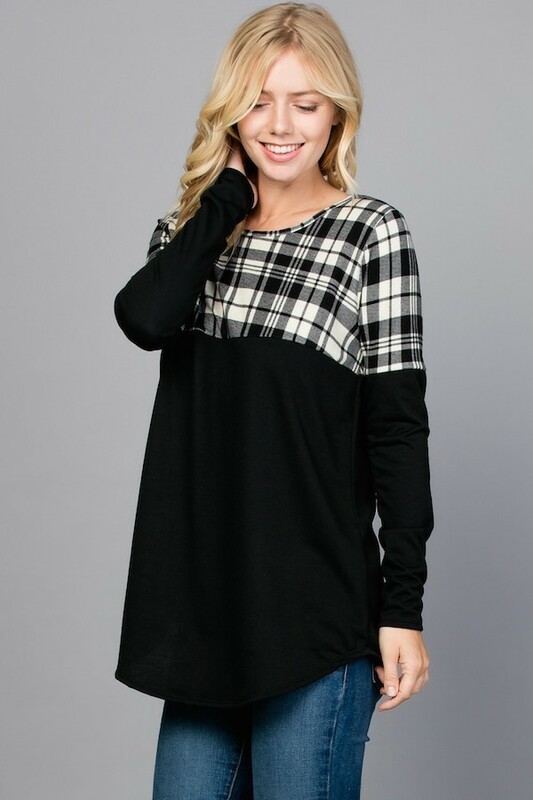 Long sleeve with plaid blocked. Round neck . Long body. Round hem.